November is National Inspirational Role Models Month! I, the mysterious “I” representing Unarthodox, would like to take this opportunity to briefly introduce you to the creators of Unarthodox, Al Montagna and Maria Kordova! This dynamic-duo is the cream of the crop (and no, they didn’t prompt me to write this). These two have built something special from the ground up, and that something is... Unarthodox! 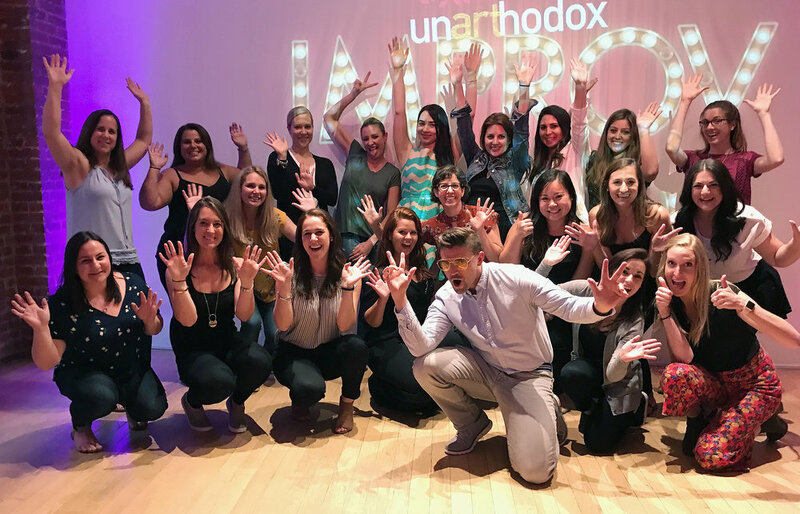 Unarthodox is a creative space in the heart of New York City, built with the same passion both Al and Maria themselves resonate. A place where every kind of person can come and feel a welcoming comfort and joy, where they can have fun and explore their creativity with no rules or regulations, just like Al and Maria do on a daily basis! Their drive is insurmountable and their personalities undoubtedly burst through Unarthodox’s seams. The two of them illustrate the true authenticity of what it means to cherish life and the people who are in it. Both Al and Maria have countlessly mentioned that Unarthodox isn’t just a company, but is a space that both captures and creates life. It’s pretty friggin’ special! So this November, I would like to dedicate to Unarthodox’s Inspirational Role Models!